Planning a road trip before summer ends? You are not alone. 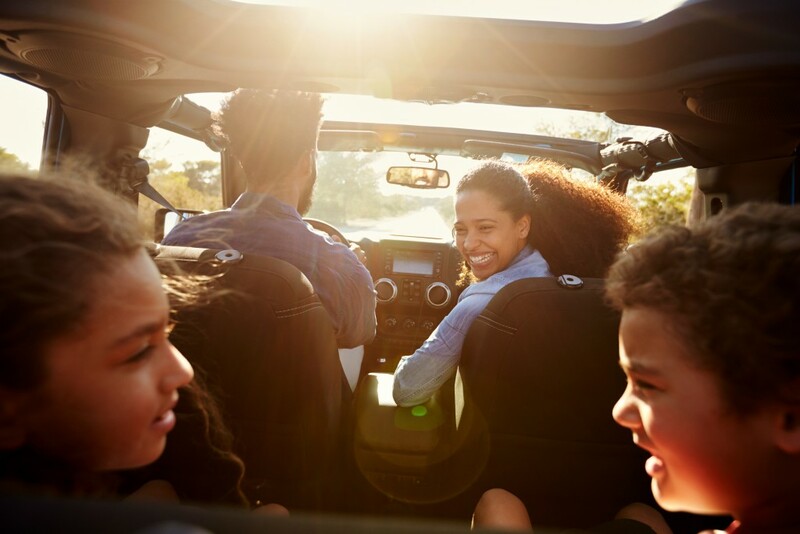 According to a recent AAA survey, 35% of Americans are planning to take a family vacation of 50 miles or more away from home. Of those families planning to travel together, 79% are taking a road trip. You have probably planned the details of your trip like where you are going, for how long, and maybe some stops along the way, but have you made sure your car is up for the journey? A few quick maintenance checks may save you from ending up stranded 200 miles from home with a grumpy kid (or adult) in the back seat. Sound stressful? It doesn’t have to be. With some extra care and prep time, you can make sure you are able to hit the road without a hitch. It is recommended that you give your vehicle the once over about a week before your trip. If you normally don’t maintain your vehicle yourself, play it safe and take it to a qualified mechanic. Ask yourself a few questions? Are there any leaks? Do your battery terminals look clean? Does the drive belt look worn? If you answer yes to any of these questions, it is recommended that you take your vehicle in to a mechanic. Better safe than sorry! Park your car on a flat, level surface, then start and stop the engine. Wait one minute while the oil drains down to the oil pan. Remove the oil dipstick, wipe it off with a clean paper towel or rag, and insert it back fully. Pull it out again and double-check that the level is close to FULL. If it does not appear to reach close to FULL, your oil may be low. You can top it off using the same type of oil that is currently in your engine. If the oil appears too black on the dipstick, it is best to go ahead and change it before you depart. If you take your car somewhere for an oil change and are almost due, get it done before the trip. An extended road trip can also put pressure on your transmission. If you are almost due for a change, do it before you leave. If your car has a transmission dripstick, check your transmission fluid yourself by first warming up your car. Place the car on a level surface and set the handbrake. While your car is idling in park, follow the procedures to check your transmission in your owner’s manual. Generally, conventional transmission fluid is pinkish-red in color and over time, turns brown. If your transmission fluid is looking brownish, go ahead and change it before your trip. It’s a good idea to take this opportunity to also check your coolant in the overflow tank. Consult your owner’s manual or directions for your particular vehicle. When you check the levels, make sure it falls between LOW and FULL. If it’s a bit low, you can top it off using a mix of water and the recommended type of coolant. 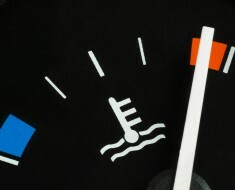 If the level is super low, take your car in to have your cooling system checked for leaks. Not having enough coolant in your engine can cause it to overheat and could cause serious damage to your vehicle. Another important thing to check is the brake fluid. Low levels could indicate worn out brake pads. If your levels are low, have your brakes checked by a professional. While you’re in there, go ahead and check your power steering fluid and top off your windshield wiper fluid. Check your owner’s manual for the proper instructions for your specific vehicle. Once you confirm that everything is OK under the hood, there are some other things to give the once over before you’re ready to go. Outside of your vehicle, inspect your lights to make sure you don’t have a burnt out headlight or taillight. A burnt out light could lead to a ticket, which would put a damper on your trip. Replace your windshield wipers if they do not clean the windshield properly. Make sure your windshield wiper jets are working properly. Finally, double-check your tire pressure. You can find the recommended pressure in your owner’s manual as well as on the manufacturer’s label, which can usually be found in the driver’s side door frame or in the glovebox. This is also a good time to check for the wear on your tires. A easy trick is to use the “penny test”. Insert the penny into the tire tread grooves with Lincoln upside down. If you are able to see Lincoln’s head, the tire is worn too low. If your tread is worn below the safe limit, get them replaced. Driving on bald tires can be very unsafe. A couple items that are always good to have on hand, especially for a road trip, are a fully inflated spare tire, jumper cables, and extra wiper fluid. A personal emergency kit including a First Aid kit, a blanket, and water wouldn’t hurt either. You can take off on your vacation knowing you are prepared to take on the road ahead.